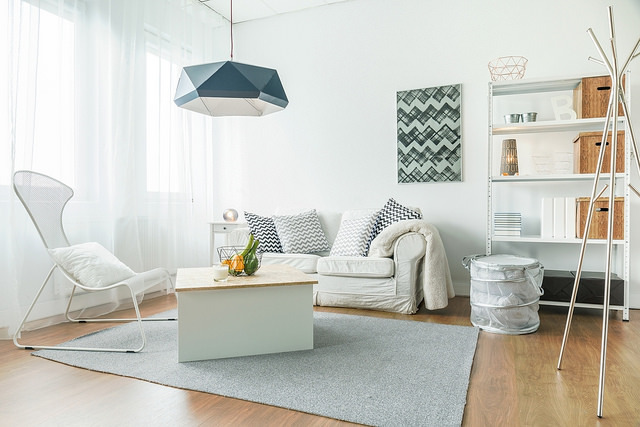 Being the owner of a small home may at first seem like a burden as you wonder how exactly you’ll be able to style your home the way you want to. Don’t worry, even if you are facing a lack of space situation, there are still ways to style your home to make it appear visually expanded. If you’d like to find out how you can make your small home look bigger, check out our 6 quick and easy tricks. 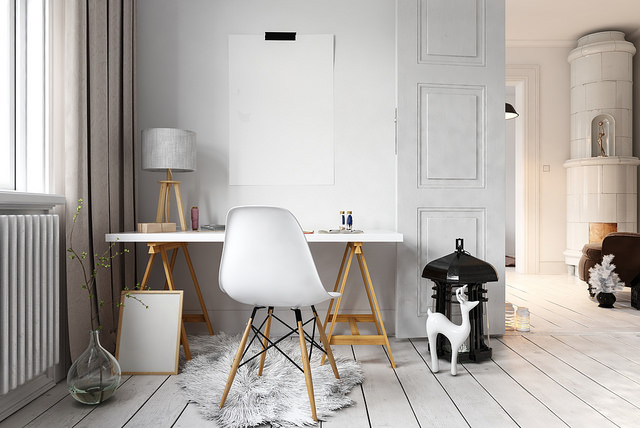 One of the sneakiest ways you can visually expand your home is by painting your walls light colours. By this we mean shades of white, creams or light greys. Dark colours tend to make a room appear a lot smaller and cramped, so it’s best to avoid them. By painting your wall a light colour, it’ll also make the room easier to decorate, so you can find what style suits you. Many of us tend to think that if we squish together all of our furniture into one designated corner, we’ll have a bigger room. This is not the case at all. Instead of forcing your furniture against the wall, try angling your pieces of furniture in random ways. It’ll give the room a more aired out feel. You won’t get it right in one go, so be patient and work with what you’ve got. One of the biggest things to keep in mind when it comes to visually expanding a small space is the floors. 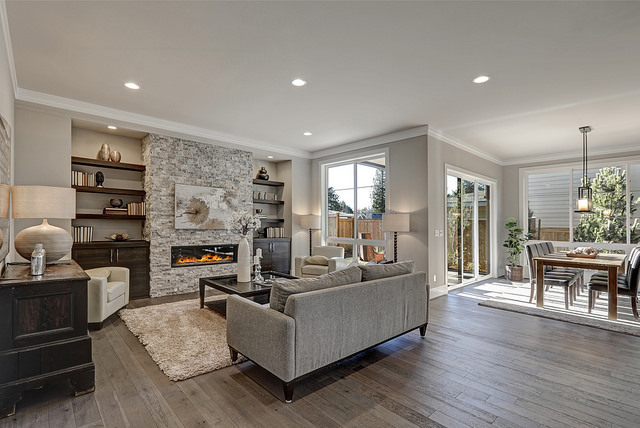 If your house has multiple flooring designs running through it, it gives off the appearance of a smaller, tighter space. In circumstances like these, it’s best to settle on one specific floor design for the entire home. This will give the house a more organised and flowy feel, ultimately giving the illusion of a larger space. Also, try to avoid covering up the floor with rugs or carpets that are in a rectangular shape. As the floor will already follow a rectangular-like shape, adding another one will remove any sense of dimension or shape to the room. If you are looking to add a carpet or rug to any part of your home, opt for a piece with a round shape. If you decide to tile your floors, read all about the exciting tile trends to inspire your next renovation. When it comes to opening up and expanding a room, using the natural light is always the best way to go. One of the best ways to absorb as much natural light as possible is through mirrors. By adding mirrors around the room, you’ll be allowing the natural light to bounce off each mirror, lighting up the room. If you are looking into using a mirror to visually expand a room, how and where you decide to put them is entirely up to you. If you are looking to go bold, a large mirror stretched across the wall is the way to go, however, if you want to do something a little more low key, try scattering around 2 or 3 smaller mirrors. Our penultimate tip to visually expand a small home is through storage and shelving. Invest in shelving units that don’t have to be bolted to the wall, but instead rest on the floor. This type of shelving will force a person’s gaze to start from the floor and move upward, making the room appear grander and potentially taller than what it actually is. However, while shelving and storage units are excellent ways to organise items and open up a room, it’s important to leave a few shelves bare. Similar to furniture, by forcing every item into one area, you won’t get your desired effect. Having a stuffed shelf will actually make it more obvious that your home is smaller and that you are running out of room. For more great ideas to keep everything in its place, 7 sneaky storage solutions. This last tip is surprisingly overlooked a fair amount, but could be your biggest ally when it comes to expanding a small space. 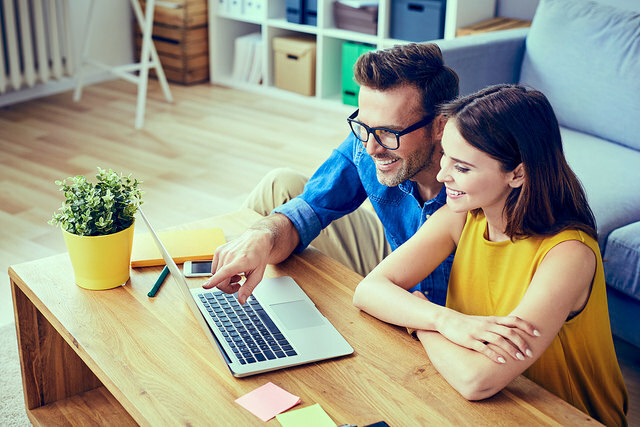 If you find that your home is starting to appear a lot smaller than usual, it could be because your home is being overrun by unnecessary items. Take the time to go through your home, room by room and get rid of things you don’t really need. An effective rule to apply when you are decluttering space is to ask yourself if you’ve used the item within the last year. If you can’t even remember when you last used an item, it’s probably best to get rid of it.